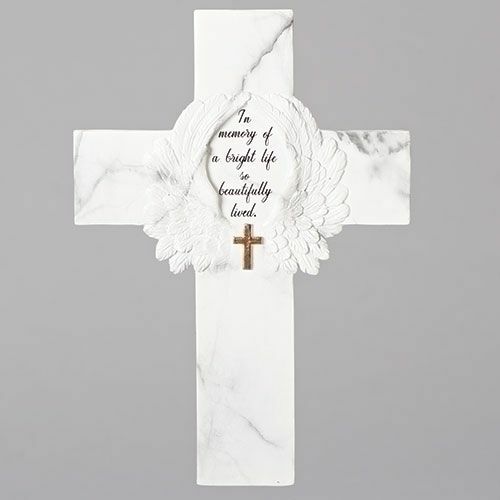 Express your sympathy with this unique memorial cross, Life So Beautifully Lived. The cross is a beautiful Christian reminder of the gift of Jesus and eternal salvation. Can be displayed near a photo of a loved one or special area of remembrance. Angel wings surround tender words of remembrance.